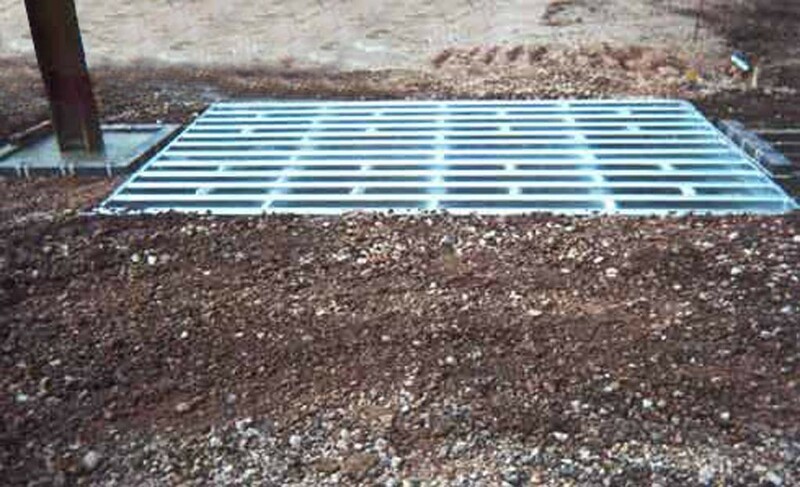 Off Highway Cattle Grids are installed by excavating a pit and installing drainage. An appropriate quantity of ballast is then placed into the pit and compacted level. The unit is lifted off the delivery vehicle and placed in position. The void round it is back filled. 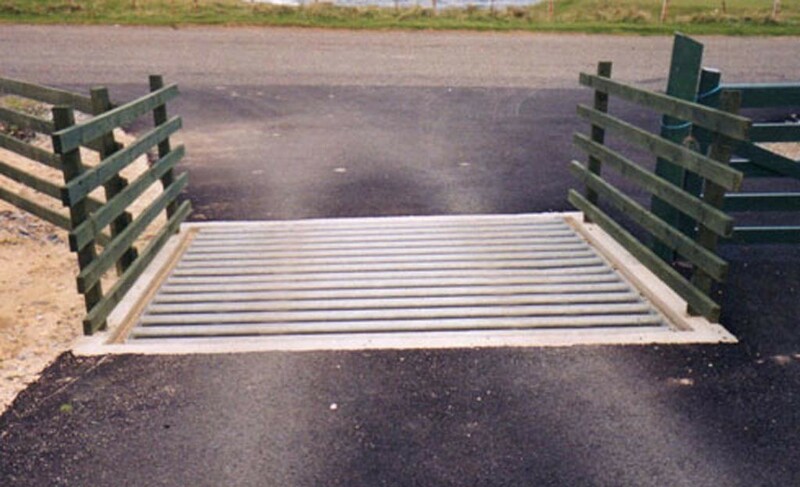 The cattle grid can be dismantled to reduce the weight and permit the use of smaller excavators. Once the grid is in position it can be used immediately. Excellent edge finishing can be achieved if the track is surfaced. Grid size: 4.5m across road and 2.6m along road. Relevant standards: The British Standard recommends 2.6m for domestic stock but 3m along road, if controlling deer is an issue. We can supply units this size and ask that clients make their preferences clear in their enquires. Loading: Highways HA Loading + 40 Units of HB Loading. This unit will carry a fully loaded logging wagon or low loader to deliver plant subject to proper construction of base and ground conditions. 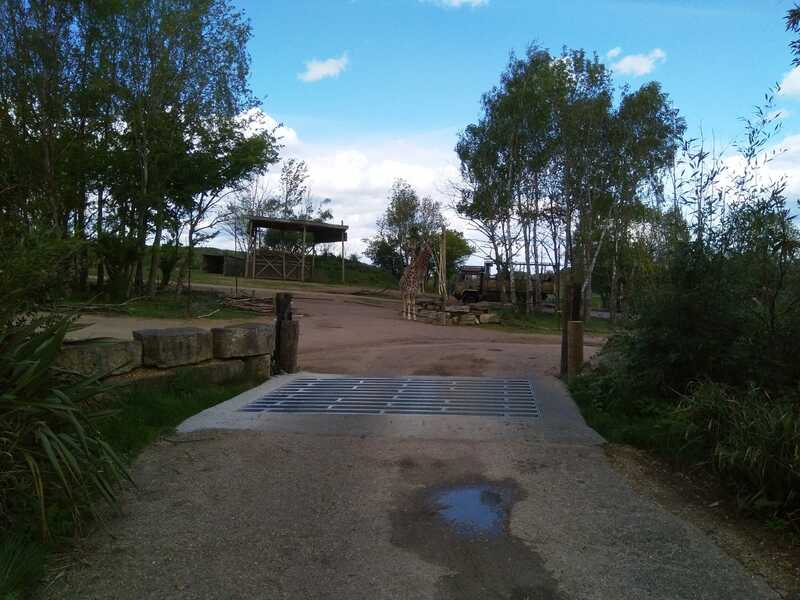 Grid size: 4.05m across road and 2.6m along the road Relevant standards: The British Standard recommends 2.6m along the road for domestic stock and 3m along the road for deer. We can supply units in either size and we ask clients to make their preference clear in their enquiries to avoid confusion.